Print advertising still has readers and smart advertisers. 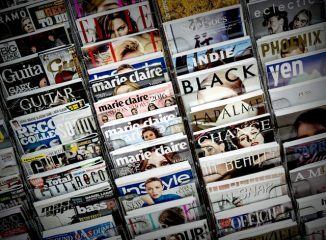 While the phrase “print is dead” has become a popular anthem with the rise of technology and online marketing, magazines still defy this label. Yes, there’s ample pressure to establish and develop a powerful online presence, but successful marketing plans still need to consider a balance between online and print. 1. Print far surpasses any online exposure to build and define brand. Long term growth and sustainability are still measured by how strong your brand is — and here, print rules! 2. In spite of pinpoint online targeting, print has a distinctive characteristic — its readers actually paid for the content. Their loyalty to the content, editorial and advertisements define an extremely engaged, educated and attentive audience. 3. Consumers trust print advertisements over any other online advertising medium. A recent study conducted by MarketingSherpa rated print ads the most trusted advertisements — 21% higher than the closest online source. 4. The wonderful real estate. A full-page ad captures, educates, inspires like no online advertisement. Diversifying your marketing plan over various channels allows your company to get the best of both worlds — driving both online and offline sales exponentially.